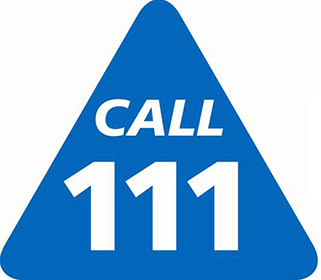 NHS 111 has replaced NHS Direct and is available 24 hours a day, 365 days a year. Calls are free from landlines and mobile phones. To access the 111 service via a textphone call 18001 111. Telephone 01722 331191 or visit their website for more information. Walk-in centres do not replace local doctor or hospital services but complement them by providing acess to a range of treatment for minor illness and injuries at times when local practices may not be open. Saturdays, Sundays and Bank Holidays, from 8am until 8pm. Please only go to the Accident & Emergency department if the illness or injury is life threatening or can't wait until we are open.